Nike’s LeBron 15 silhouette utilizes its Flyknit construction to the fullest by incorporating multi-color aesthetics onto its upper with the use of its flexible color blocking. Just like the original, the 15 Low features Flyknit as well, and this brand new Signal Blue color scheme is one of its best look yet. That hue is the clear focal point, but it mixes nicely with Thunder Grey and Black to create an attractive sneaker that would be a welcomed addition to anyone’s sneaker lineup. An icy outsole and a translucent AIR unit complete this look while a white midsole provides the sneaker with a touch of contrast. 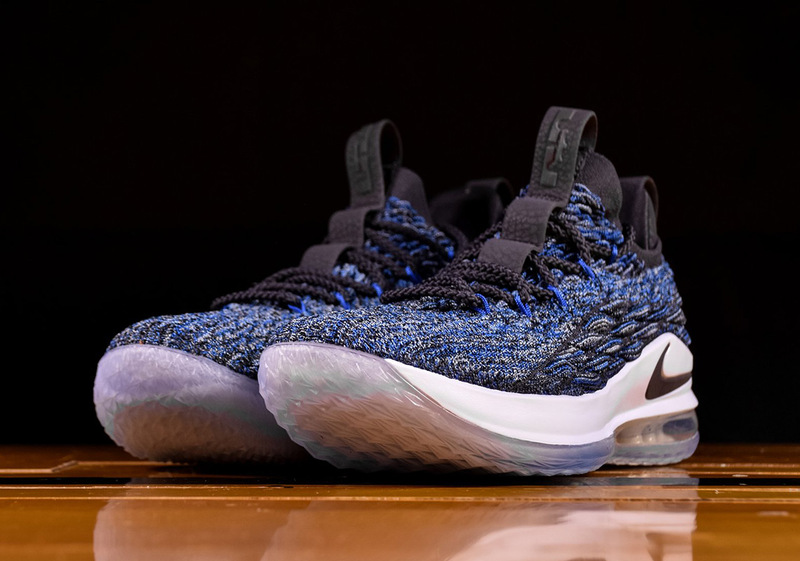 Fans looking to pick this LeBron 15 Low up will be able to do so from Swoosh Brand hoop retailers like Renarts today.